You won’t find a more comprehensive, yet straightforward business integration tool that will save hours every week on manual entry and ease the frustration of managing various processes. DataQlick is a complete multichannel inventory management and automated transaction processing solution. 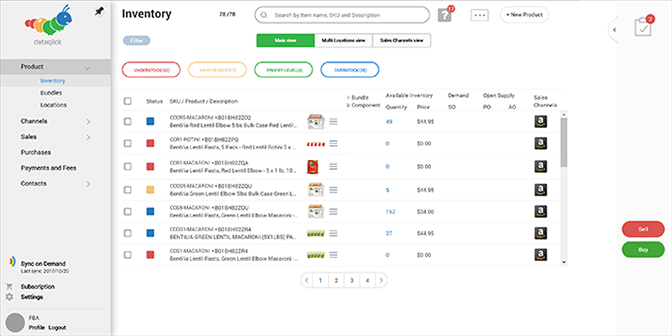 Connect operations from all stores and marketplaces into one single place to synchronize inventory levels across many multiple platforms and locations. 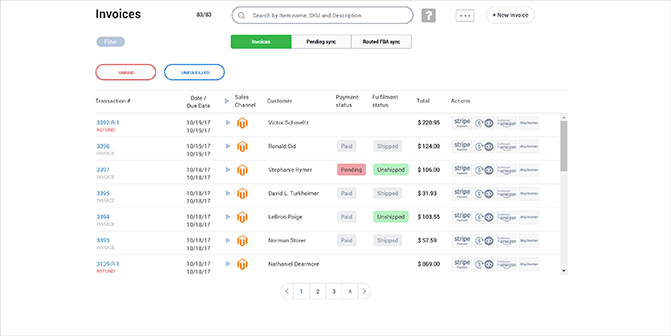 DataQlick automatically records all your sales transactional data with discounts, sales tax and refunds into your accounting system in real time. Easily create and manage assemblies and work orders. Automate backorders via simple and reliable replenishment system with integrated bill processing into accounting system. Singlehandedly create and manage multiple locations and warehouses, control stock transfers and receiving.